Reducing energy consumption is important, especially during winter days. In regions with extreme temperature shifts, heating and cooling expenses are higher than other utility bill components. So, in order to save some money, while reducing the negative impact on the environment, you will have to make certain adjustments in your home. 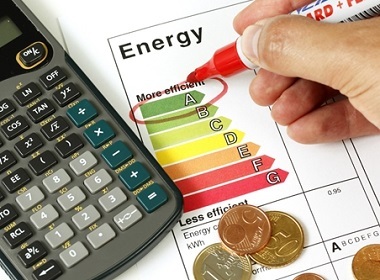 Luckily, there are many things you can do easily, so to achieve your energy saving goal. Here is how you can maintain a comfortable temperature and keep your home warm and cozy, but also save money on energy. Instead of boosting the heating system, turn down your thermostat to 62-68 degrees. Wear warm clothes during the day, and set the thermostat to 55 degrees at night. In the 60-70 degree range, for every degree you lower your heat you will save up to 5 percent on heating expenses. Also, think about using a programmable thermostat, which allows the temperature to fall and rise when needed. Maintain your furnace. Make sure it stays clean, unblocked, and replace the filters when needed. Energy use is increased when furnace filters are dirty, because they restrict airflow. When the vents and furnace are clean, it reduces the energy consumption and heating costs. Block all the leaks around doors and windows. If there are vents, pipes or electrical lines that go through the walls, ceiling or floor – seal up the leaks to prevent the heat from leaving your home. Small gaps can be sealed with caulk works, while for larger gaps you should go and get equipped in your local hardware store. Do not heat rooms you do not use. If you have storage areas or guest rooms that are empty most of the time, you should close them, seal off the vents there, and redirect the airflow to those rooms you use and spend time in. f your house is not insulated, then a great deal of heat escapes your home through the walls. Insulation is not expensive, and insulation products can be bought in any home improvement store nearby. You can insulate the house yourself, or have a professional to do the job for you. Set the thermostatic radiator valves (TRVs) low and gradually turn them higher, because turning them to a higher setting will not heat up the room faster. By ensuring that each radiator is able to circulate heat properly, you can reduce your heating costs. Check whether the valves function properly, and always have a few spare ones. You can get replacement valves from suppliers like Speed Gas. If there is no reason to spend energy – unplug and switch off what you can, and do not waste it. Unplug any spare house appliances that you do not use, or really need. Always turn off the lights when leaving the room empty. Turn off ventilating fans in the kitchen and bathroom after they do their job. House electronic devices – TVs, DVD and Blu-Ray players, and audio lines – use electrical power even when they are switched off. The amount of power used in the standby mode is only about few watts per device, but when added up, it is more than 50 watts that is consumed all the time. Unplug devices when not in use. If you have a power strip with multiple devices plugged into it, simply turn off the power strip. Set an automatic sleep mode on your computer. If the power management features on your computer are turned off, set it so it goes to sleep after 10-15 minutes of inactivity. Do not leave your computer on if you are not using it. Turn it off so it does not draw any amount of power. About 2/3 of your water heating costs are accounted to showers. Make your showers shorter, because if you cut the shower time in half – water heating costs will go down for 33 percent. This means that a family of four or more can save hundreds of gallons of hot water per month. House appliances should be used as efficiently as possible. When using the dishwasher or clothes washing machine, do only full loads. Use the cold water setting when washing clothes, because it reduces the machine’s energy use by 75%.